The Approval Request is considered a type of content. 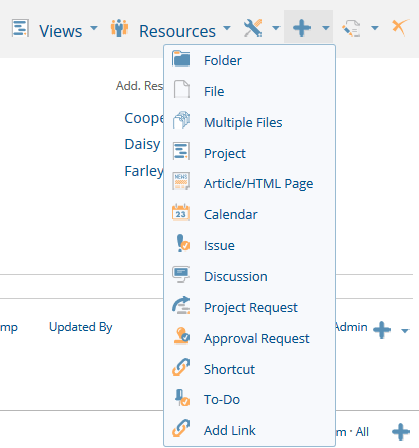 Please review Adding Content for a full explanation of how content is added in various places throughout Project Insight. 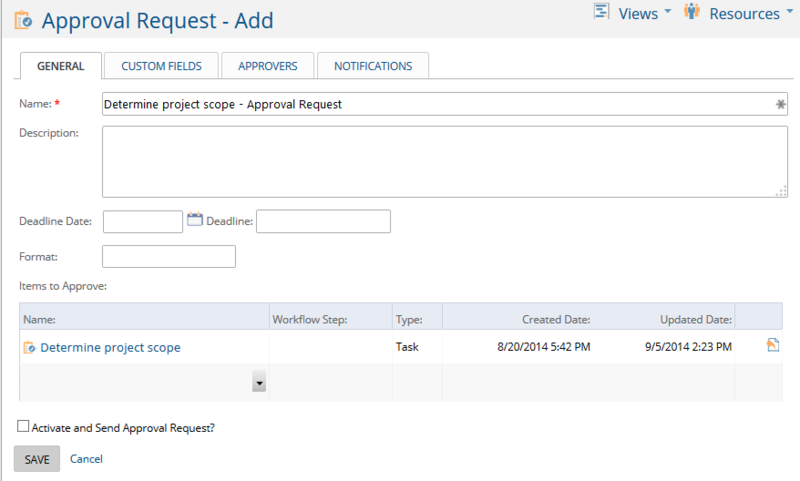 Approval Requests define rules for approval of attached items by Project Insight users. The Approval Request contains the rules, while other Project Insight content items are attached as the objects for the approvals. Approval Requests may be added as items within other items, such as folders and tasks. The items attached to the approvals are not required to reside in the same item location as the Approval Request item. Approval Request items are added either from the Approvals tab in a specific item's view or using the add icon in various places. The best method to use assuming the approval is related to a specific item such as an uploaded file is to go to the item itself, select the approval tab, and then click the add icon . Alternatively, there are various places as outlined in Adding Content where you will see Approval Request in the add menu. This example is from a task. Regardless of how you begin the approval request, the following tabs and fields will be shown. Name assigns a name to this request. Description should contain detailed information about the request. Deadline Date assigns a deadline for the completion of the request. Deadline allows you to name the deadline (i.e. Q4 Budget Review Meeting). Format should be the media format intended for the completed item. Items to Approve are the attached Project Insight items that need to be approved. Items are selected by clicking in the blank space below Name: and navigating to the item. Activate and Send Approval Request? when checked will send the approval request notification via email upon save. If approvals are being routed sequentially, the first approver will receive the initial notification while the remaining approvers will be notified in order. Any custom fields for approvals will be shown on this page and should be completed. Approvers are added by clicking in the black space below Approvers: and choosing a name from the Project Insight Users list. You can change the order of the approvers by changing the numbers in the Order box. All Approvers Must Approve when checked requires approval of ALL approvers in the list. Approval Routed Sequentially when checked follows the order assigned above. Only after the preceding approver has approved will the notification be sent to the next approver in the list. Email Message Body any message included will be in the email notifications automatically sent from the Approval Request. Notifications for the final approval and/or each individual approval can be configured. 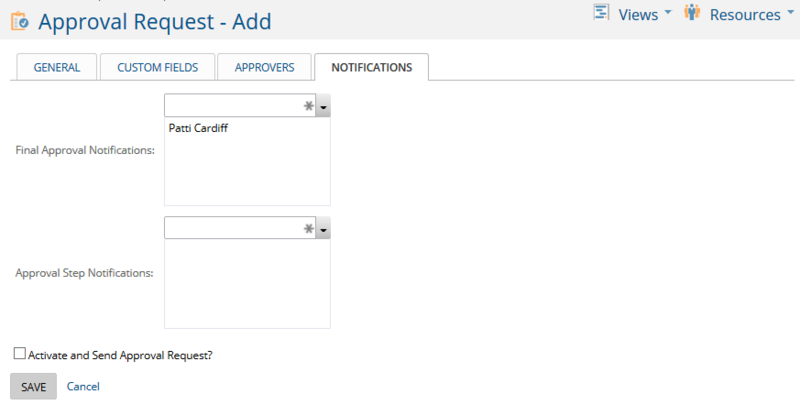 Final Approval Notifications add users to the list that should be notified upon final approval. Approval Step Notification add users to the list that should be notified as each person approves the request. The approval process will allow an individual who has the "Read" access to the item to create approval requests for the item. Users (Requestor) will be able to create one active approval process at a time. There will be a list of approvals and the status of that approval on the item display page. From the list the approval will be linked to the detail of the approval. A requestor can assign users from their "user communication" (all users you have the permissions rights to see) list to assign the approval to. When adding the users, options for notification upon approval or denial are available. Sequential routing - Each approver is notified in sequence to approve the item. Simultaneous routing - All approvers are notified at the same time to approve the item. Each approver is notified via email when the request is ready for their approval. If sequential routing is chosen, it is done in order, if simultaneous is chosen then all approvers receive the email immediately. An auto-alert can optionally be created on the parent item for edit/delete notifications for each approver when assigned. A message can be added to the email when the requestor creates the approval request. 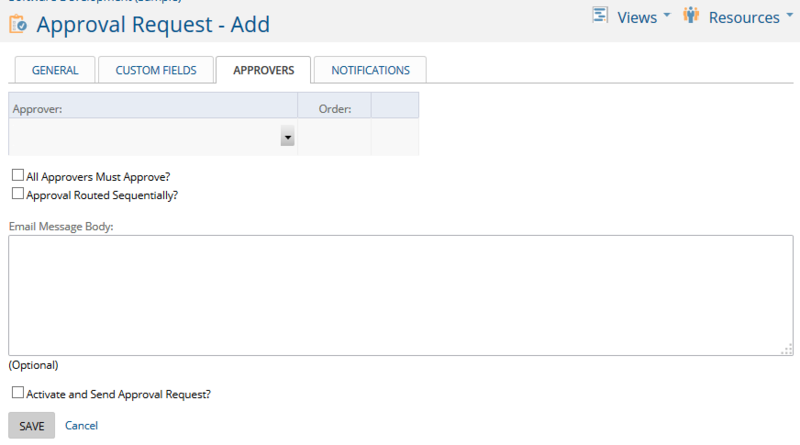 The requestor can select the users from the "user communication" list that should be notified if the request is approved or denied. If an approval process is introduced the file version control is automatically set and the approval is tied to the specific version of the file the approval is for. Once an approval process is created, it cannot be deleted unless the process has not begun. The approval request can be setup to be approved if "Al" (default) approvers mark it approved, or if "Any" approvers mark it approved. For example, if "All" is selected the all approvers must approve the file for it to be approved. If "Any" approver mark the file approved, then the file will be approved automatically when the first approver marks it approved. When an approver selects "deny" then they must enter a comment stating the reason for denial. If a new version of the file is uploaded during the approval process then the existing approval is cancelled automatically, an email is sent to the approvers and a copy of the current approval is created and resent for the new version. The process can be cancelled, which will send a notification to all approvers that have not responded that have been notified to approve the file. All approvals will be deleted if the parent item is deleted. When the approval request is approved or denied, then an email is sent to the users that should be sent a notification of the resulting approval. Once the file is "approved" it cannot be edited. Further information for working with approvals which have been added is described in the Approvals topic of the Navigation and Customization section.